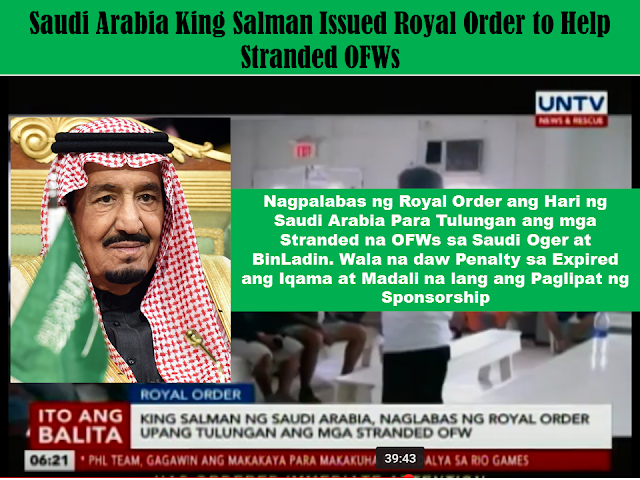 From the UNTV Exclusive report from Saudi Arabia of Eugene Bardoquillo, interviews from embassy personnel and labor employment officer, we found out that series of meetings and dialogue with the Ministry of Labor of Saudi Arabia had been conducted and that a Royal Order has been issued by the Saudi Arabian King Salman to help stranded OFWs and other expats currently stranded without salary pay for several months. 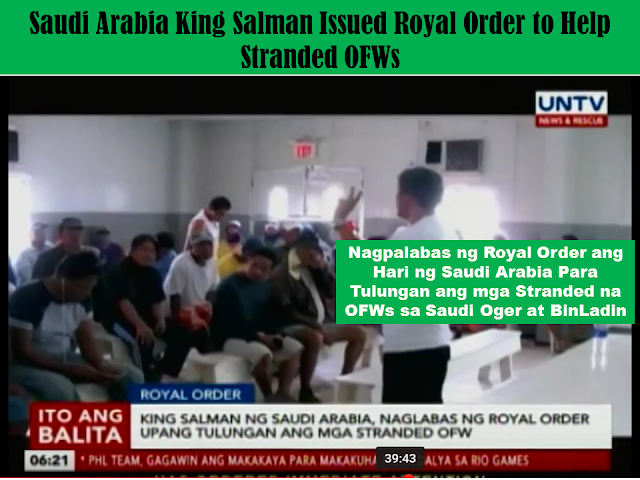 The report specifically mentioned OFWs working at Saudi Oger and Saudi Bin Ladin, two Saudi Arabia top construction companies. A few week ago, Secretary Silvestre Bello of the department of labor or DOLE visited Saudi Arabia to address this issue and brought some relief and good news from Pres. 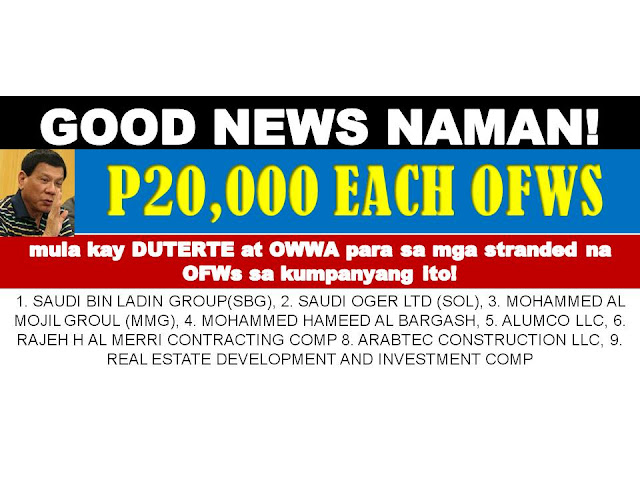 Duterte and OWWA funds, P500M to be distributed to stranded OFWs and their families. GOOD NEWS TO ALL STRANDED OFWS, P20K OR SR1590 TO EACH AFFECTED OFWS AT JOBSITE OR IN THE PHILIPPINES! Secretary Bebot Bello III is expected to arrive back in Saudi Arabia this Tuesday to process repatriation back to the Philippines.